With another year having come and very almost gone, it was time to create the annual Christmas Festive Roast Blend for distribution to family and friends. 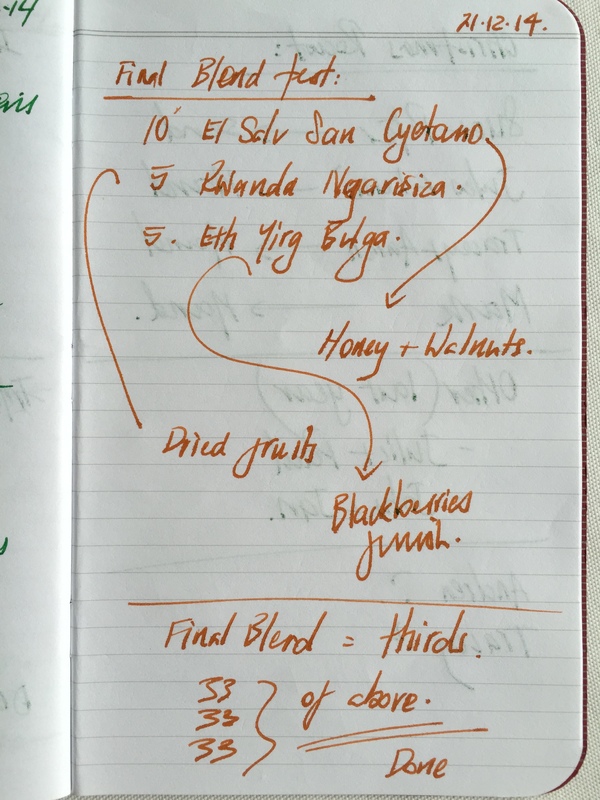 Mind you, with things getting a little hectic towards the end of the year, the creation of this years blend was completed just a little close to the line. 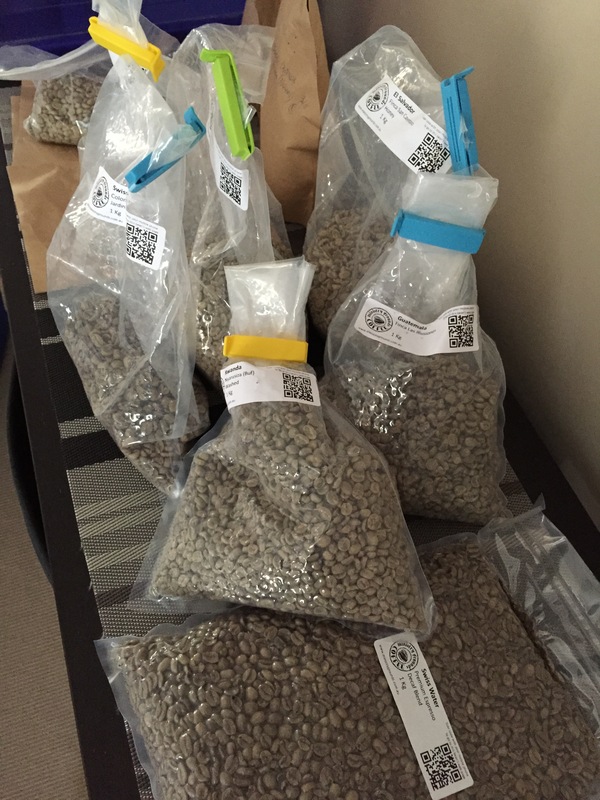 Although not helped by a last-minute change to the composition of the specific coffees I’ve put together for this year, it was preferable to wait a little longer and produce something, which I feel, is a little more well-rounded and nicer in the cup. So without further ado, the details. The finished product heading out the door. “What on earth is the Fifty-K reference in the name?” you would be well within your rights to ask. Although only the third time I have done this, the idea of putting together a festive Christmas blend with a specific name is based on two things. First and foremost, given my own interest in roasting and brewing coffee, it is nice to give something to family and friends who take that little bit more care in how they brew theirs, whether through a home espresso machine, french press, Aeropress or other manual brewing methods. Secondly, coming up with a name for the blend which reflects either the year I’ve had, other events of interest, or something which has perhaps captured my thoughts in the previous 12 months. This year, as regular readers (and without a doubt my immediate, and very understanding family) will be well aware, November was a big month, swallowed up entirely by my participation in National Novel Writing Month, or NaNoWriMo. Managing to meet the 50,000 word deadline by the end of November certainly wasn’t easy, however I was pleased to get there, and finished with a small novel of just over 55,000 words by months end, along with the inspiration to name this years blend in honour of that very challenge. 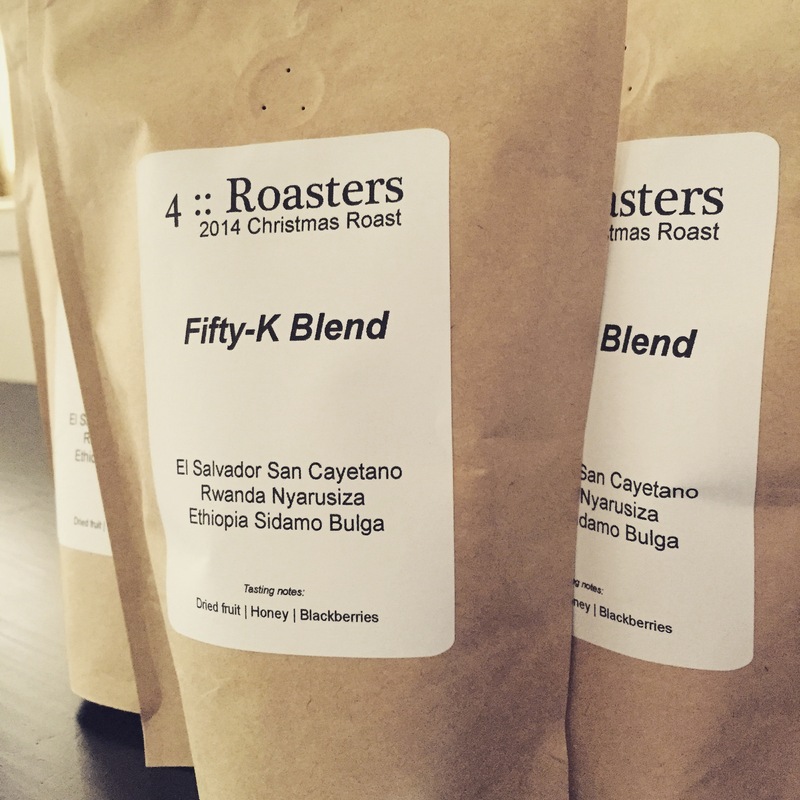 So, without further ado, what makes up this years festive roast, and how does Fifty-K Blend taste in the cup? As usual, the green beans were sourced from Ministry Grounds, with the plan to put together a blend worthy of the season, with berry, stone and dried fruits, along with nuts and honey the key components of this year’s tasting notes list. Finalised on December 21 – just made it! Searching through the many single origin coffees on the Ministry Grounds site, after a false start with the Guatemala Las Illusiones (a fine coffee in its own right, however wasn’t quite right in the blend), the individual coffees below made the final cut, and make up Fifty-K Blend in equal one-third portions. The Rwanda Nyarusiza returns, having been part of last year’s Keeper’s Blend, however the above combination is a departure from the red berry dominance of the 2013 blend. Individual tasting notes and further background can be found on the Ministry Grounds website by clicking on the above links, however as far as the blend itself tastes, below is what I have found. When combined with milk in a flat white or latte, it is a lovely rich and creamy drink, with the dried fruits and honey at the forefront, and a mild, nutty aftertaste. Overall, the honey really carries through when consumed with milk. Perhaps it may have gained something from a little more “fruitiness”, however overall I think it works well to kick things off in a morning latte. A little surprising to me was how well the blend suited the AeroPress, and had I not been running dangerously low on filters, would have consumed a lot more through this type of brew method. Whilst remaining rich and creamy with a lovely mouthfeel, the AeroPress really brings out the stone fruit and black tea flavours which hide a little in the milk based drinks. A pleasantly robust blend, which holds up really well in this form of brewing. 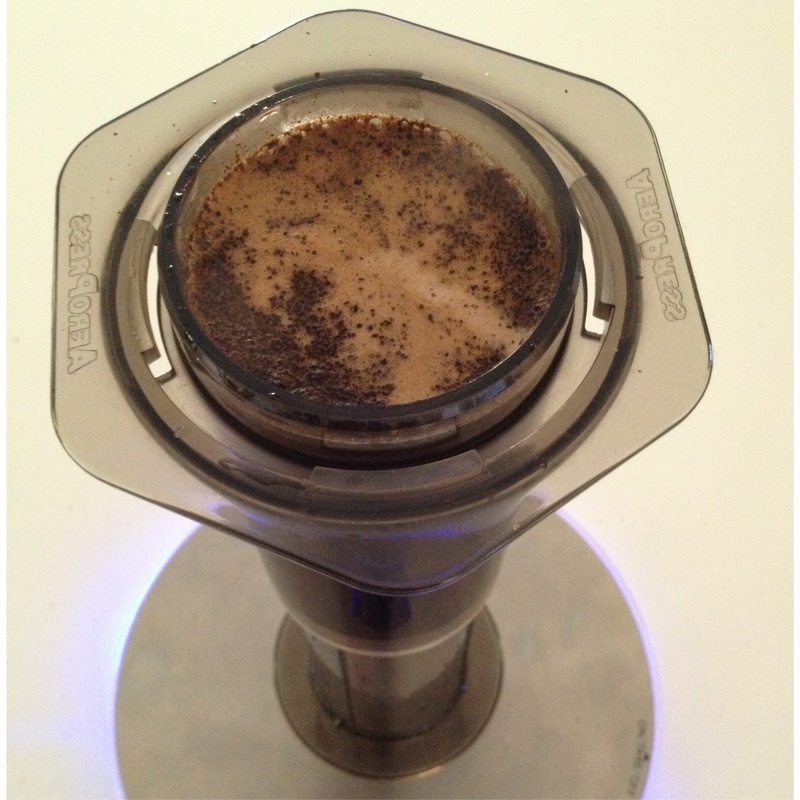 Upon brewing through the Hario V60 filter, the taste profile is similar in nature to that described above with the Aeropress, however I would not necessarily say it was any better, which is not what I usually find when comparing the two. As espresso (think green apple, a little honey again), well, you can’t please everyone, and let’s just say when consuming the Fifty-K black, a longer form of brewing is probably the best option, as it is probably a little too bright to be considered a really good espresso. 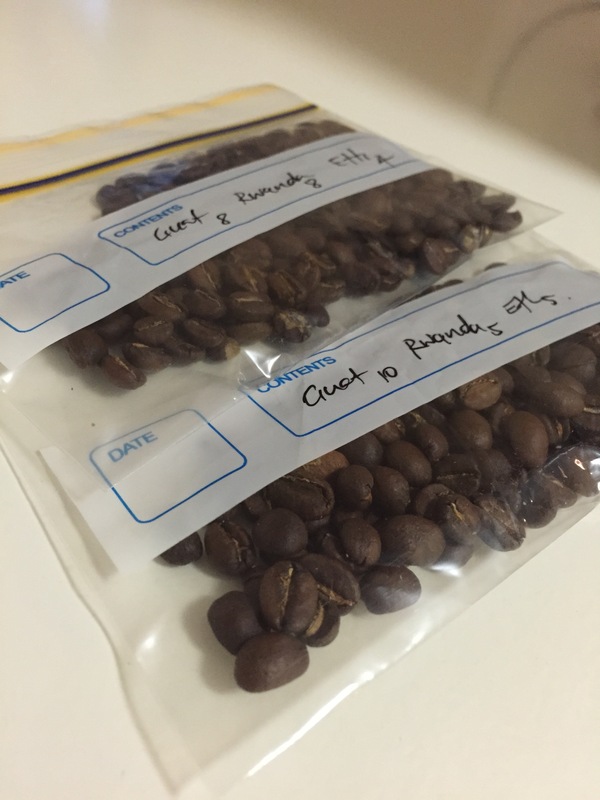 With another year and another festive roast blend all but complete, perhaps it is time to reflect on the year gone by, and what might lay ahead for you in 2015. Or, as is the case with me, simply enjoying a few days off with family, the cricket and a some new toys to play with, courtesy of some thoughtful gift givers. Thankfully, no one gave me a fountain pen for Christmas. As someone who does love a good fountain pen, why would I be thankful for this? Well, there are a few reasons, and tomorrow (29 December), you can read about what those are in a guest post I wrote for one of my favourite pen blogs, On Fountain Pens. The article is one in a series of 12, which began on Christmas Day, and I’d encourage you to head over and read them – it’s a great series of posts (and yes… if I do say so myself!). I do hope you have had a Merry Christmas, thanks for stopping by, and best wishes for the coming year.